Some people call this foodie fiction. Others call it a culinary crime novel. 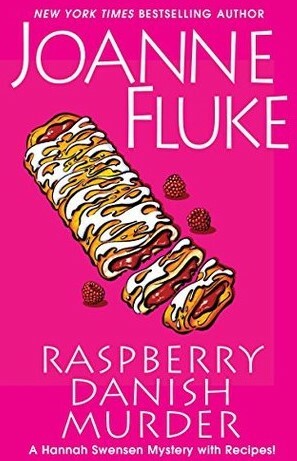 Either way, Raspberry Danish Murder by Joanne Fluke debuted #6 on the New York Times Bestseller list (hardcover fiction), so I decided to see what this kind of novel is all about. The food mystery might be a neat sub-genre, but I’m not interested in food prep all that much. I don’t watch cooking shows, I don’t care about cooking competitions, and when I go out to eat, I care more about quantity than quality. If I kept reading a book like Raspberry Danish Murder, I’d skim over all the food details, and I’d probably miss the point of the book. There is an old precedent for culinary crime. Back in the 1970s, my dad made spaghetti based on some cooking tips he learned from the movie The Godfather. Very few books/movies are as violent as The Godfather, even non-culinary crime novels. Anyway, I’m pretty sure that the point of watching The Godfather was NOT to get tips about making spaghetti. My father didn’t cook often, but he made a darn good spaghetti, thanks to The Godfather. Raspberry Danish Murder has some recipes too, but they’re more complicated than The Godfather’s spaghetti. I don’t think I can make the raspberry danish based on the recipe after Chapter One. There are a lot of steps involved and a couple ingredients that aren’t in my kitchen cabinets. There are some precise measurements, and things have to be cut a certain way, and there are a bunch of added notes that looked like more steps to me. If a recipe involves more than three steps, I lose interest and the smoke detectors go off. You know, there are some things than an average person is better off buying rather than baking. I’ll leave the raspberry danish to the professionals. Maybe this kind of book would be more interesting to me if I cooked or had aspirations of baking. And I can’t be the only potential reader who likes mysteries but has no interest in recipes. Plus, there aren’t too many countries where food mysteries would be appealing. If you lived in a country where food was scarce and you saw a book like Raspberry Danish Murder, you might get mad that other countries have so much food that authors can write frivolous food murder mysteries. In some countries, murdering for food might be so common that you would wonder what the big deal was about; of course people would murder each other over a danish. Automobile murders: A mechanic solves murders, with important car maintenance tips between chapters. Contractor murders: A home repair guru solves murders, with home repair tips between chapters. Musician murders: A music teacher solves murders, with tips about instrument basics between chapters. Book blogger murders: A book blogger solves murders, with reviews of classics and other public domain novels between chapters. Without the food, Raspberry Danish Murder is kind of bland. 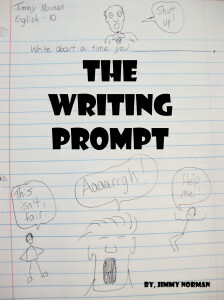 There are a bunch of characters and some of the dialogue is unnecessary. It’s tough for me to complain too much about this though because I’m not the intended audience. If you are already familiar with the characters, and they feel like old friends, and you’re actually going to follow the recipe directions, then maybe this book is great! I’m not the best judge. I mean, I don’t mind recipes, and I’m sure the Danish is tasty, but when it comes to mysteries, I prefer plot more than the pastries. What do you think? What’s more important, the murder mystery or the recipes? What subgenre would be more interesting to you than foodie fiction?